In the spirit of the informative item found some time ago in the Deseret News, I thought I would review some recent postings on a website called Mormonleaks, created and run by an enemy of the LDS Church. This individual seems dedicated to trying to embarrass the Church at all costs in the name of transparency or freedom of speech. Be all that as it may, this man has chosen to prey on the disloyalty and grudges of some current or former members and church employees and local leaders, to, as noted, try to embarrass the Church. Whether he is successful or not is debatable, as each person has their own idea of what they think would be embarrassing. But with so many people involved, a certain small percentage of traitors, for whatever reason, is going to feed him various kinds of documents and other materials. This man then ignores copyright laws and posts these items. These actions have moved him to the top of the anti-Mormon visibility list for media coverage, like the Salt Lake Tribune, which is no friend of the Church. Whenever the religion writer for the Tribune decides a posted leak is newsworthy, she publishes an article, thus helping this anti-Mormon to further his purposes. In the next life, and at the final judgment, there will be some accountability passed around that I would shudder to be included in, but these leakers and reporters will receive in full measure. But for now, unless the law can be implemented and do something, they seem to be able to do their dirty deeds. This brings us to the current issue, and dilemma. This sorry excuse for a website is now leaking papers/documents of various kinds created by Elder Bruce R. McConkie, formerly of the Quorum of the Twelve (1972-1985). These were never published by him or the Church, nor were they meant to be made public in this sneaky traitorous manner. These would probably in general be considered private papers, ostensibly held in family hands, although the issue is much more complicated than that. As of now I have no idea who leaked them and neither did an extended McConkie family member that I contacted. One can do no more than speculate. One might suppose that only a family member would have access to all of this material (which is apparently going to be leaked in installments) but that may not be true. As a biographer of Elder McConkie, I have been collecting and studying materials written by or about him for over 30 years and have put together a sizeable collection. I know a few other people, loyal and true each of them, who likewise have a large collection. These leaks did not come from us. So a mystery is involved unless someone talks. I hope it was not a disgruntled descendant or extended family member that betrayed this trust. I cannot speak for Elder McConkie’s kids, who are now mostly into their 60s and 70s, but I would imagine they will be upset and saddened by this development, as I am. The main reason being that sacred and sensitive items written by their father have now fallen into the hands of the wicked who may feel gleefully obliged to ridicule and mock. Further, it is one thing for people to leak LDS Church-owned documents, where legal action may be unwise, but the copyright for most of these documents would probably be held by Bruce’s children—and the McConkie’s are a family full of lawyers who might not hesitate to sue a blatant copyright infringer—damn the negative publicity. I myself am conflicted because I did not possess many of these items and, having now read them, I would have liked to. This new leak is something like in the 1980s, when a private letter Elder McConkie wrote to an erring BYU professor fell into the hands of, and was then widely circulated by, an anti-Mormon group. The letter was excellent, the leakers were devilish. The cycle is now repeating itself, but on a far larger scale. I want the material, but I don’t want it disseminated this way. It’s one thing for these items to be shared, in context and with an appropriate audience that will appreciate them and be edified and blessed by them, and another for Satan’s spokespeople to be involved. Such is the same reason one needs a temple recommend to go into the House of the Lord; much greater controls are available to protect and safeguard the temple that way. Yet, we have seen traitors publicly expose the sacredness of the temple ceremonies as well. Who can doubt we are in the last days when sons of perdition make themselves manifest? However, we might also remember that Elder McConkie is no longer the lightning rod that he once was. He has been gone for 32 years now, and few under 50 even remember him. His books are largely out of print and his talks are only remembered by the older generations and insightful gospel scholars smart enough to have read and studied them. It might be that these leaks stir up less controversy than they would have three decades ago. Maybe far fewer people would know or care today. Maybe, hopefully, this release of private documents will come to nothing. Having now reviewed the above concepts, it has occurred to me that since the material is now available, posted without context or explanation or knowledge, I thought I would try to provide some in an effort to reduce confusion. The first installment is 37 unpublished documents that could be grouped into these categories: general conference talks not given, partial book manuscripts, handwritten notes and talks (poorly typed by the poster), BYU Speeches not given, some Q&A items, unpublished magazine articles, talks not given but meant for other venues, a memo on the 1978 priesthood revelation, an item prepared for a First Presidency Easter statement, items that became a pamphlet or two, some personal notes, an outline or two for lessons, and other such items. The October 1969 talk Elder McConkie didn’t give was on taking the name of Christ upon us, and was replaced with one much longer (and better) on salvation, revelation, and testimony. 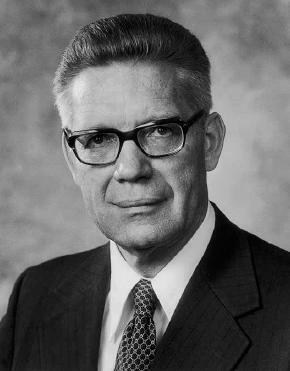 With his April 1974 conference talk, I speculate that it was set aside for two reasons: President Lee had died and Bruce decided to talk about Foreordination of prophets, such as that of President Kimball, and secondly, that the subject of striving to make one’s self worthy to see God was perhaps too sacred and no longer as timely, with the death of Pres. Lee. As for the talk meant to be delivered at a Mexico Area Conference in 1972, it actually was, and was published (the leaker got it wrong). I have not checked it word for word, but this is the famous talk Elder McConkie gave in which he reiterated the Church’s position that new converts should not move to Utah (Zion), but remain in their own native lands to build up the Church there. It was at this Mexican area conference that Bruce first learned by personal revelation that he would be called as an apostle. President Lee quoted from Bruce’s talk in one of his own talks at the next conference where he was sustained as President of the Church. I cannot say why the Stockholm talk on bringing up children in light and truth was not given. The December 1974 talk on revelation was meant to be given to regional representatives and general authorities; I don’t know why not. But I am glad it was prepared because it contains valuable counsel. For many of these undelivered talks there is presently no explanation for why they weren’t delivered, other than the commonplace generalizations noted above. The “By Grace are Ye Saved”, the 2 BYU Devotional talks for 1975, and the “True Christ” talk are probably among that category. Talks are often prepared well in advance, schedules change, people get sick, the list or possibilities goes on and on. With the First Presidency Easter message, Bruce was probably asked to write something for them for possible use, and it wasn’t used. The memo on the Priesthood Revelation was used by Ed Kimball in his BYU Studies article and also in a chapter in his biography of his father, Spencer W. Kimball, in tracing the major historical events of the 1978 Revelation on the Priesthood. It was written by Elder McConkie at President Kimball’s request. I heard rumor that Joseph Fielding McConkie tried to use it in his biography of his father, but was asked not to. This seemed strange to me because therein it would have been in context and treated with sensitivity and respect. It is true that the details given in it are very sacred and easily ridiculed by unbelievers. The posted copy has been retyped from 12 double-spaced pages to 5 single. (In fact, I think someone retyped every one of these leaked documents; they are filled with typos and their formatting is not like the originals.) After a quick comparison, it looked like all the original wording was still present. This document mentions President Kimball asking members of the Twelve who felt so inclined to submit to him a written paper containing their personal views on the question of lifting the priesthood ban on blacks. I believe that is what the document entitled, “Doctrinal Basis for Conferring the Melchizedek Priesthood upon the Negroes” is—Bruce’s follow-up memo as requested by Pres. Kimball. I cannot say this for sure since I have never seen it, but it seems likely given the content. The “Convert Called Peter” talk was meant for general authorities and, after reviewing the apostle Peter’s weakness, conversion, and triumphal ministry as a special witness, gives counsel on how to live so as to gain entrance into the Celestial Kingdom. It is possible that some of this talk or others on this list made it into Mark McConkie’s book compiling his father’s teachings, called Doctrines of the Restoration. I haven’t checked. “A Prayer for All Israel” was partially given at the April 1984 general conference as “Patterns of Prayer”, meaning that perhaps some half of the talk was given, but other parts were revised. This was one year before Bruce died. “Whose God is the Lord” contains apostolic testimony; I know nothing more about it than what it says. The “In His Holy Name” talk is interesting because it was evidently prepared for the April 1985 general conference, but that is the famous conference in which Bruce gave his last and greatest talk “The Purifying Power of Gethsemane.” According to sources, Bruce wrote that talk not all that long before he gave it; maybe only a few months or less. He read it to his wife Amelia as she was baking him a pie, and she had to stop to pay attention because Bruce cried as he read it to her. Seems to be one talk taking the place of another. The “All Things” item is a partial book manuscript that I had not heard of before—but I had heard Bruce had started a number of manuscripts that were in various stages of development. One of his little-known manuscripts, “These Three: Elohim, Jehovah, and Michael” was finished but not published. It may be that “All Things” was rewritten to become “These Three,” which I speculate since they cover the same subjects. I have heard “These Three” has also leaked out, though I don’t know if this particular website will post it. It was not approved by Church Correlation and was therefore put on permanent hold. One could wish that the family would give permission for it to be published honestly and appropriately, instead of it being surreptitiously posted online by enemies of the Church. If these other partial manuscripts are leaked, they are what they are: the best thinking of a great doctrinal giant, but not official doctrine. That is how the Question and Answer documents must be viewed also (“Answers Grounded in Truth” is similar to the above manuscripts, but much shorter). “Are Mormons Christian” seems to be more of a pamphlet or small book than a partial manuscript; it has a fairly substantive ending. “Some Miscellaneous Questions and Answers” is obviously from some Q&A sessions between Bruce and his son Mark L. McConkie, during the last years of his life. These delve into deep doctrines and represent Bruce’s understanding, but they are not items that would pass Correlation and be put in a manual (as explicitly stated here) today. How this material may have been worked into a book at some point is unknown and speculative. If I were Mark McConkie, I would be furious that my private interview notes had been somehow leaked. As a student of Elder McConkie’s thought, I highly appreciate being able to see and study these, on the one hand, but I am disgusted by how they have been made available, on the other. I had not seen “Are We Saved by the Blood of Christ” before, but it has some resemblance to Elder McConkie’s final message in April 1985 in it. “How to Start a Cult” is one of these documents that, contrary to what the leaker states, has been published before, though under another name: “Cultism as Practiced by the So-Called Church of the Firstborn of the Fullness of Times.” I have seen it in published pamphlet form in different archives, but it must have been a very limited run. The fundamentalist cult it doctrinally shredded is not heard from much anymore. Some of its leaders went to prison for murder decades ago and that seems to have reduced its influence and numbers. The piece “I Am the Resurrection and the Life” seems to be based upon the final document on the list, “Untitled Handwritten Talk.” This last item is clearly a vision received by Elder McConkie while deep in prayerful study of the New Testament. It is this document which will settle once and for all whether Elder McConkie saw the face of Jesus in mortality, a question I have been asked many times. From now on I have but to point to this item, which is not a talk as the leaker says, but an account of a sacred vision (filled with typos). And as I indicate, I believe the one document is based on the other. Elder McConkie is not the only apostle to have received visions while studying the sacred biblical texts; Elder Harold B. Lee had a similar experience doing the same thing, shortly after his call to the Twelve. The last 8 or 9 documents listed on the site are similar to the others mentioned above. I have no special knowledge concerning them except that they are typical of Elder McConkie’s style, but not what he would want floating around the internet. If or when more installments of Elder McConkie’s works are posted by this ethically-challenged website, if they need explanation or background context I will do my best to provide it. As time passes, I can but hope and pray that the devilish anti-Mormon mockery and ridicule will either be absent or remain at a minimum. We can always hope these go unnoticed by the critics. Those wishing for further information about Elder McConkie’s special witness can read a chapter on him in my forthcoming book, I Know He Lives: How13 Special Witnesses Came to Know Jesus Christ. I have it on good authority (the leakers themselves) that the McConkies have requested removal of the papers and that they do not intend to comply with the take down request. Seems they are willing to put up a fight that they will surely lose. I find your comments extremely interesting. You say, "I highly appreciate being able to see and study these, on the one hand, but I am disgusted by how they have been made available, on the other." You state the people who released these are going to hell but without integrity you consume them out of your own curiosity and lust. You are no better than the "devilish anti-Mormon" that you condemn by not turning away from them completely, not downloading them, and not reading them. Don't be a hypocrite if you are going to condemn others to hell. I simply don't understand your rant here. You state that you believe it was evil to release them but point out their wonderful value on the other hand for yourself. You repeatedly berate the leaker but at the same time are willing to embrace the writings and in fact state that you will point to these leaked documents in the future. So which is it? Good or bad that these were released. If you are going to embrace them, love them for the content, and point to them for proof then it seems in reality it was a good thing. If they were not good then why in the world are you embracing them? Are you the only one that should benefit from this beloved apostles private writings? Are you the only one that would love to read more from Elder McConkie? Are you the only one can discern what may or may not align with current gospel teachings? Are you the only one that wants to know if he saw the Savior in mortality? Amazingly, at the end you then plug your book. I don't know who you are but I was not impressed by this article due to your lack of integrity in the matter - especially due to the inconsistency of your actions and due to the plug of your book at the end. If the leakers were so evil then disregard these writings, don't download them, don't read them, and for heaven's sake don't point back to them as proof that an apostle saw the Savior. Actually, as Elder McConkie's biographer, I think he's doing a wonderful service by checking through these and seeing if they're authentic or if they've been edited to add false and potentially inflammatory content. It's also nice that he's been able to say what has been published and what hasn't been. The anti-Mormon that runs this website doesn't offer anything in this area, so it's nice to see someone else providing this. The hilarious thing about this is that this clueless anti-Mormon is actually helping the church with everything he's Leaked. Elder McConkie's works are awesome, and their release will actually cause more people to consider his points. That's the effect that most anti-Mormon material has... it draws in people who wouldn't normally give it a second glance. I personally love the renewed interest that this will bring to a long-gone powerful voice for Jesus Christ and his restored church.